Styx: Shards of Darkness builds tremendously on the previous title in the series, addressing key player concerns while also improving your arsenal of stealth tools. Most notably players will no longer be locked into combat when located and can instead attempt to parry enemy attacks or attempt to flee and re-engage stealth gameplay. The story this time around sees Styx attempting to infiltrate a Dark Elven city of Korangar in order to determine why the dark elves have aligned themselves with dwarves. The setting is one very different to the past game but still wonderfully presented, the setting also allows Styx: Shards of Darkness to offer more range in enemy types that have their own abilities tied to them. 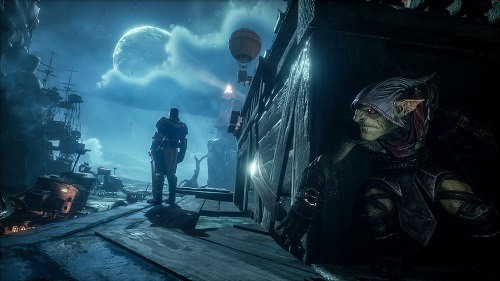 The general gameplay loop of Styx is still the same at a high level with players staying close to the shadows in an effort to remain unseen. Assassinating enemies is generally your best bet which can be accomplished through sneaking up in stealth or laying a variety of traps. Common traps include poisoning water sources or booby trapping an alarm to quickly take out multiple enemies. Cloning and invisibility also return and form the basis of gameplay once again, invisibility this time around is even more vital as players will not be locked into combat should they be located, giving you a window of opportunity to disengage and disappear into the shadows once again. 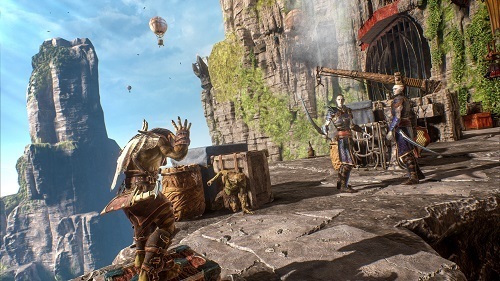 Styx: Shards of Darkness is also a much more vertical game than its predecessor with rope swings and wall climbing featuring more heavily throughout the locations. Unfortunately some of these locations are reused through the adventure which takes away some of the enjoyment as you use the same environment against your enemies once again. Despite this the progression curve of Styx: Shards of Darkness is well designed with your arsenal of abilities and weapons growing in sequence with that of your enemies to ensure the stealth tug of war is challenging and varied. For those that want even more variety a co-op option allows a friend to control a Styx clone. Another stealth based game involving Styx. Use your goblin powers and grow them as the game progresses. Counter dark elves and dwarves with their own abilities. Play with a friend in co-operative mode. Available across Windows and consoles.